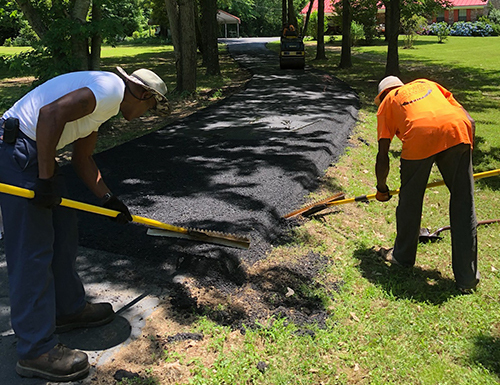 Pro Paving was founded in 1994 and since then, we’ve delivered the very best in asphalt paving, repair, sealcoating and parking lot maintenance to jobsites throughout Memphis, TN. All of our work is guaranteed and the best quality is provided for a fair price. Let us provide you with a free, on-site quote for your project today! When poured, paved and protected by professionals, asphalt surfaces look great and stand up to heavy wear and tear. To get the most out of your investment in asphalt, choose Pro Paving as your asphalt contractor in Memphis, TN! Not only do we deliver a complete scope of asphalt pouring and paving services to residential and commercial customers throughout the region, we’re known for our high-quality work, impeccable results and quality guarantee. As an experienced paving contractor in Memphis, TN with more than two decades of experience, we know what it takes to approach a job the right way. We provide free estimates on our work after thoroughly inspecting your project, so you always get an accurate assessment of the scope of work involved. And, when you choose us for the job, we’ll make sure to bring the very best equipment with us—not to mention a seasoned workforce that’s supervised by the owner at all times. Whether you need someone to completely refinish and stripe your commercial parking lot or you’re getting bids from driveway pavers in Memphis, TN, Pro Paving is ready to take on your job. Reach out to us today and let us prove to you that our work stands apart from the rest. We’re a family company, led by a father and son team. As an owner-operated company, rest assured one of our owners will be on-site to supervise every job. We pride ourselves on delivering the very best in top-quality services. All of our work is guaranteed and we stand by a job well done, every time. We’re willing to take on jobs and projects of all sizes, including smaller jobs that other paving companies just won’t do. We stand by our mission to deliver superior workmanship at a great price and will always provide you with a free estimate on jobs, done on-site for accuracy. Our firm utilizes top-of-the-line equipment and is always staying up-to-date on the newest technologies and practices within the industry. From the smallest asphalt repair jobs to the biggest striping and sealcoating projects, our dedicated team brings you the best in asphalt services.